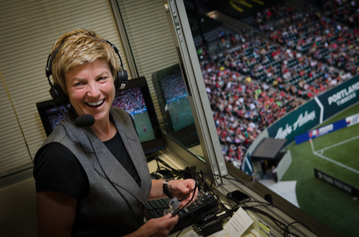 Ann Schatz is a seasoned and talented sports broadcaster. The first female sportscaster in two major markets, Ann’s imprint on broadcasting is as big as her personality. 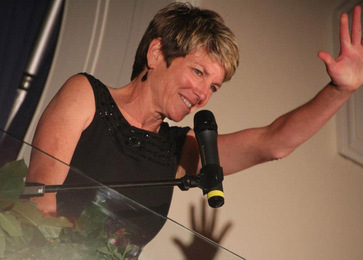 Throughout her broadcasting career Ann has had access to the world’s top athletes, coaches, and sports companies, from Michael Jordan to Mia Hamm, Harry Caray to Phil Knight. The first reporter to talk to Tonya Harding at the Lillihammer Winter Olympics (and she didn't even have credentials) and the last to leave a locker room, Ann’s known for going the distance. Sometimes literally. Like on a bike she “borrowed” at the Boston Marathon. Heels, bag, crew, and all. And yes, she got the story.